Make sure you set price for submission (0 is not supported). Paid Listings don’t have an expiration date. 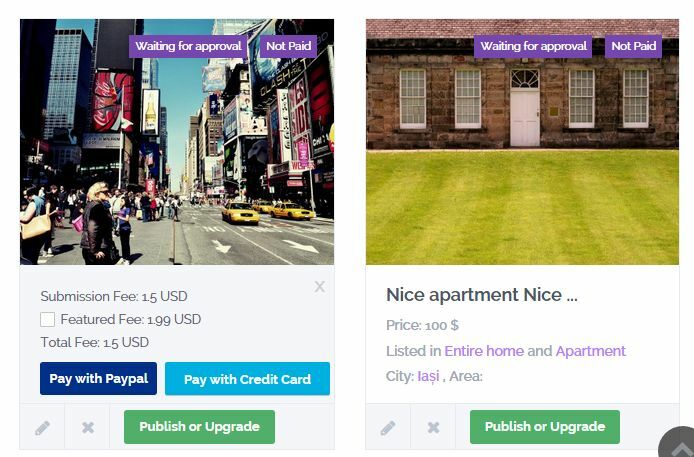 Changing options on the way, after your users have already registered and sent listings, is NOT recommended as the theme doesn’t count listings published/added before the change. Only for NEW USERS. Users will see the price and payment options in My Properties List – User Dashboard. 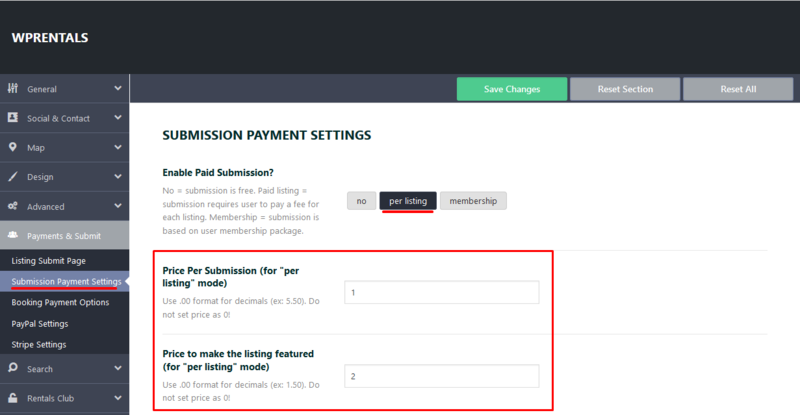 Paid submissions will have status PAID in admin – properties and edit property.